Last year, the Costco branded credit card switched from American Express to Citi. Since we use ours to gather the maximum cash back rewards, we decided to carry both. We opened an American Express card after the switch. This is a great strategy for us. When the switched was announced, we heard a lot of complaints about customer service. Specifically, many said that American Express had good customer service, and that Citi did not. I decided to give a spot test. While this isn’t conclusive, I thought it’d be fun to share whether AmEx customer service came out ahead, behind or equal to Citi. We were heading on vacation. I always like to notify the credit card companies. That way, the company won’t see us making a bunch of charges from an unusual location and disallow charges for potential fraud. I couldn’t imagine it’d be fun to be on vacation and have your card come up declined. Since we’ll probably be using both of these cards during our trip, I decided to call and notify both companies. Honestly, the process and the experience was about equal. Both cards had the phone number for customer service on the back of the card. Both cards pick up and ask what you’re calling about. The voice recigniton systems used are very similar, if not actually the same software package. They will try to get your request handled. I knew I’d want to speak to an agent so I told it ‘Customer Service’. Both of them tried to convince me to provide more detail, but after repeating ‘Customer Service’ took me to the next step. Both systems knew that I was calling from my primary number. Citi only asked me to punch in the last four digits of my card. American Express made me punch in my full card number as well as the last four digits of my social security number. Both of the calls were picked up right away. Both of the agents were friendly. They both knew exactly what I was calling to do when I explained it to them. They both made sure to verify the dates and locations where I’d be making charges. Both thanked me and wished us a good trip. Citi actually sent me an e-mail verifying the conversation and the travel information. I thought that was a nice touch. In the end, both companies provided top notch service. I know it was a simple request and it was only one, but both experiences made me happy to be a customer with their company. That’s really what it’s all about, isn’t it? 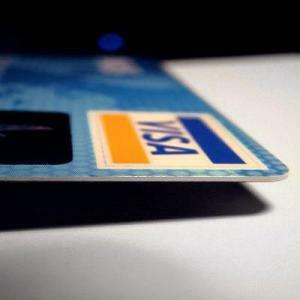 Readers, have you had any really good or really awful experiences with a credit card company? Please share your experiences in the comments below. Thanks very much for reading! I’ve never had that long a wait. I don’t think I’ve ever had it show up the next day but it has always been within 3 days tops. You would think that they have motivation to get you a new card as quickly as possible so they can start making money from your usage. I’ve had similar experiences with both companies as well. I used to work for Citi years ago in one of their back office operations as a bank officer, and even thought there were times that errors were made, I can say everyone working there was well meaning and did their best to be helpful. It really comes down to what type of card is right for your personal situation, but always pick a card with cash back or other rewards!